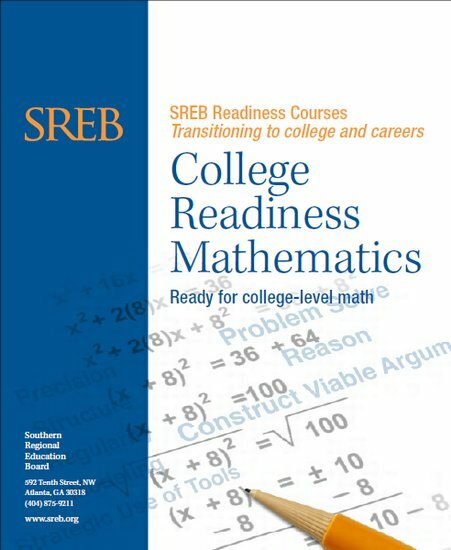 College Readiness Mathematics is a fourth course option for students who have completed Algebra I or Coordinate Algebra, Geometry or Analytic Geometry, and Algebra II or Advanced Algebra, but are still struggling with high school mathematics standards essential for success in first year post-secondary mathematics courses required for non-STEM majors. The course is designed to serve as a bridge for high school students who will enroll in non-STEM post-secondary study and will serve to meet the high school fourth course graduation requirement. The course has been approved by the University System of Georgia as a fourth mathematics course beyond Algebra II or Advanced Algebra for non-STEM majors, so the course will meet the needs of college-bound seniors who will not pursue STEM fields. 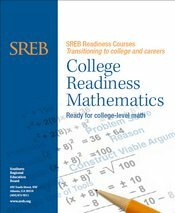 College Readiness Mathematics focuses on key content and practice standards to ensure that students will be ready for post-secondary academic courses and career preparation in non-STEM fields. The course will revisit and expand the understanding of content standards introduced in earlier mathematics courses and will emphasize numeracy, algebra and functions, geometry, and statistics in a variety of contexts. Instruction and assessment should include the appropriate use of manipulatives and technology. Mathematics concepts should be represented in multiple ways, such as concrete/pictorial, verbal/written, numeric/data-based, graphical, and symbolic. Concepts should be introduced and used, where appropriate, in the context of realistic experiences. The Standards for Mathematical Practice will provide the foundation for instruction and assessment. The content standards selected are essential for post-secondary preparation in non-STEM study. to understand why to use a certain formula or method to solve a problem. By engaging students in real-world applications, this course develops critical thinking skills that students will use in college and careers. functions, exponential functions, and statistics.